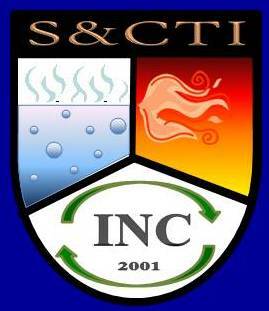 Reduce blowdown and save energy, water and chemicals. blowdown and boiler operating costs, foaming and carryover. expensive chemicals necessary to neutralize the acid and reduces return line corrosion. amount of chemicals required for efficient, non-corrosive operation. osmosis, to reduce dissolved solids. anions are more than 50% of the total anions. 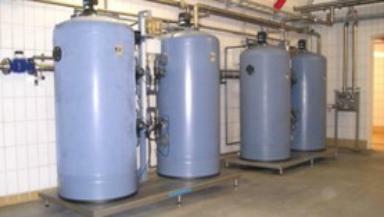 a chloride anion dealkalizer is a simple, safe, economical way to handle cooling waters. 0.1 ppm of iron or 0.1 ppm heavy metals. Caustic feed systems are available for all Water King dealkalizers. The caustic feed system consists of an 18" diameter solution feed tank and an LMI Series "A"
system, it is an adder on the Water King systems. Specify caustic feed system for dealkalizer with pressure switch and timer (part number 805098).